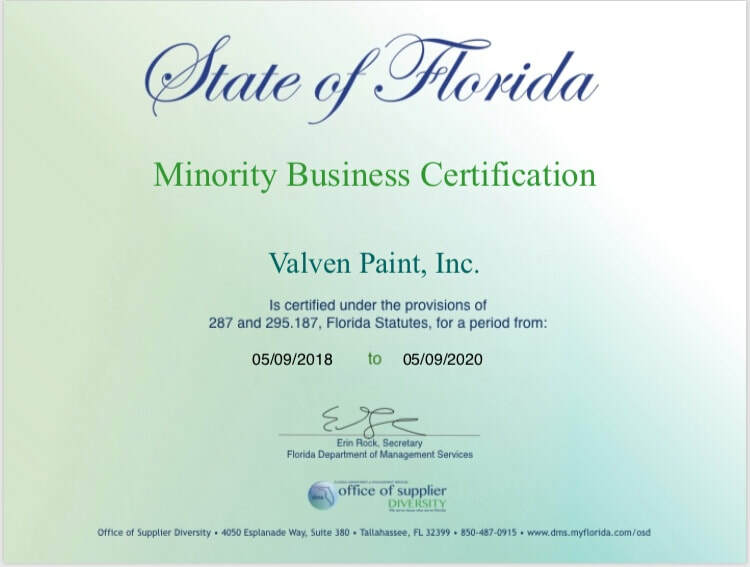 Valven Paint, Inc. is a commercial and residential painting company serving Sarasota & Manatee county since 2005. We have built a solid reputation for quality and attention to detail. We are committed to providing our clients with above standard, high-quality work. Our competitive prices, courteous service and experience make us the top choice for home owners and businesses along Florida's west coast. We invite you to explore our website for ideas on your upcoming projects and we look forward to being of service to you.